We held our dodgeball-themed Mothers & Daughters Sports day on 25 November 2018. Thanks to everyone who joined us that day! We weren’t deterred by the rain and we had so much fun throwing, catching and dodging the ball 🙂 We also learned to aim and shoot at a target; and saw so many bulls-eyes. Yay. 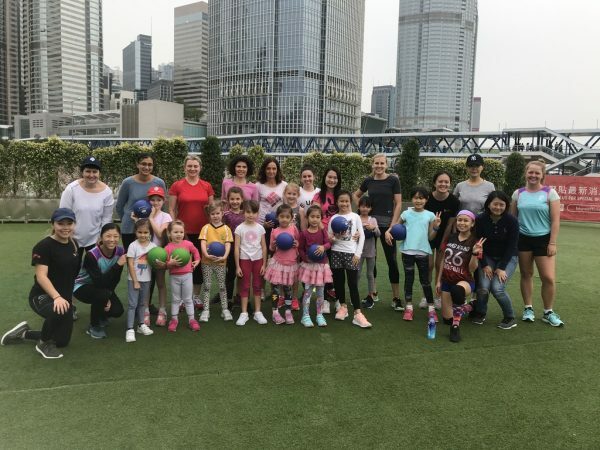 Thank you Hong Kong Observation Wheel & AIA Vitality Park for letting us use the space, and to Hong Kong Dodgeball Association and Coaches Kimmy and Savannah for the fun drills and games. Also thanks to Pearl Liang and Ela Howard for joining us in the activities too.